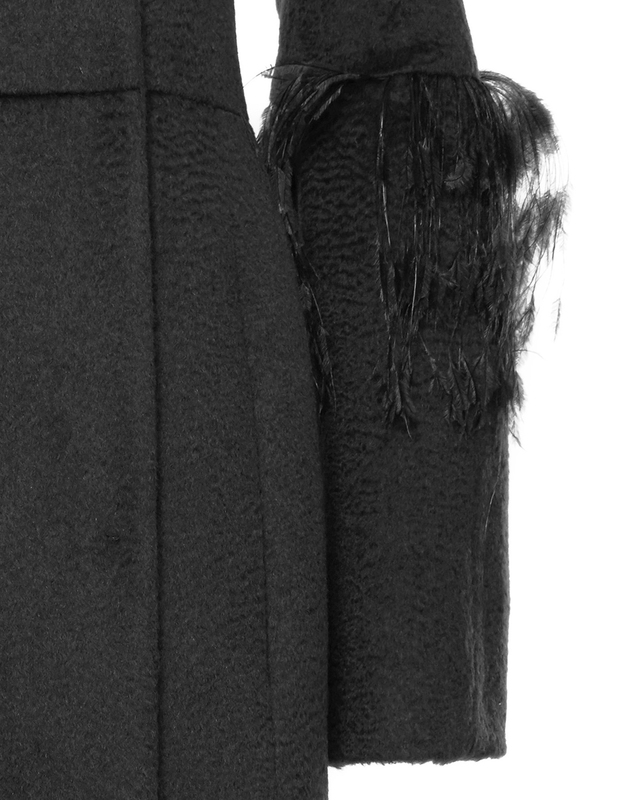 The wool coat with feathers is ready to warm your winter days in simple and essential style. 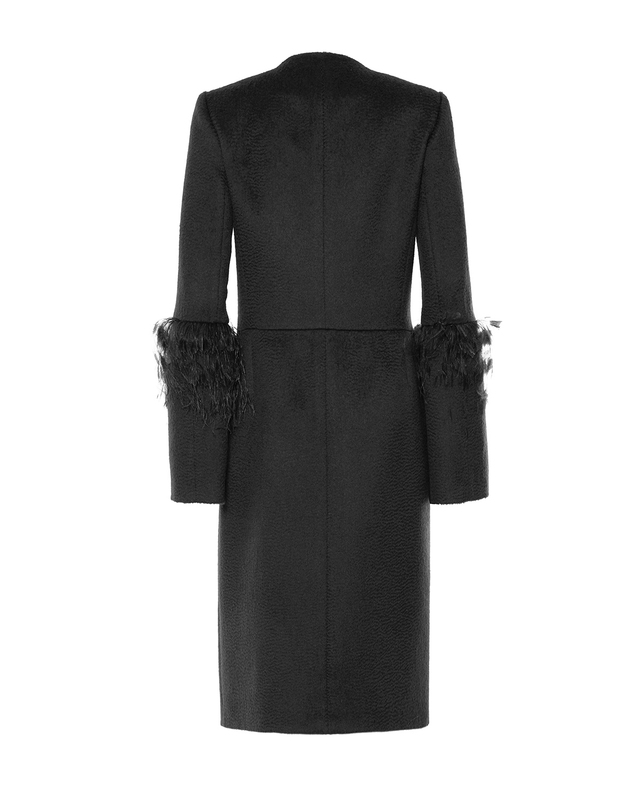 Available in an elegant black shade, the coat's semi-fitted silhouette skims the legs and is enhanced by elbow-height feathers that give the overcoat an original touch. 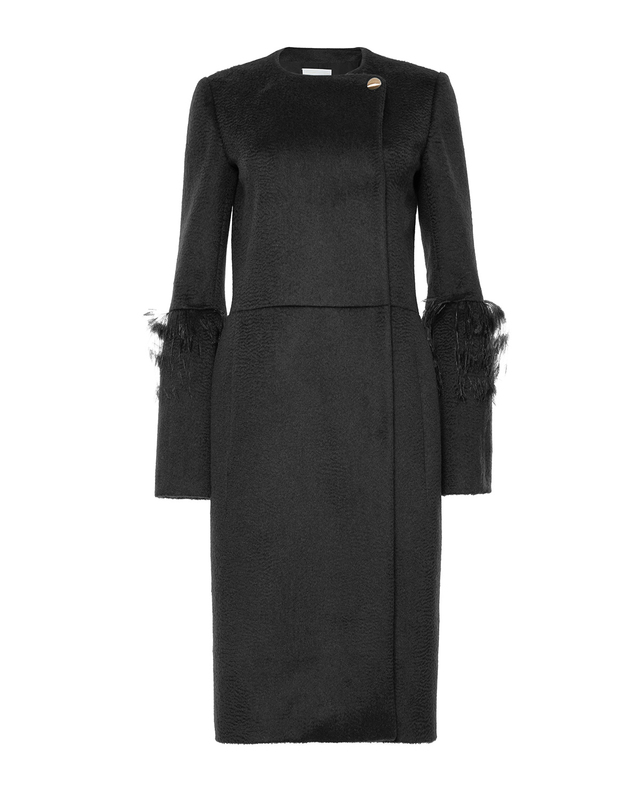 The coat with its hidden buttoning will take you to all your chic events paired with a mini-dress.